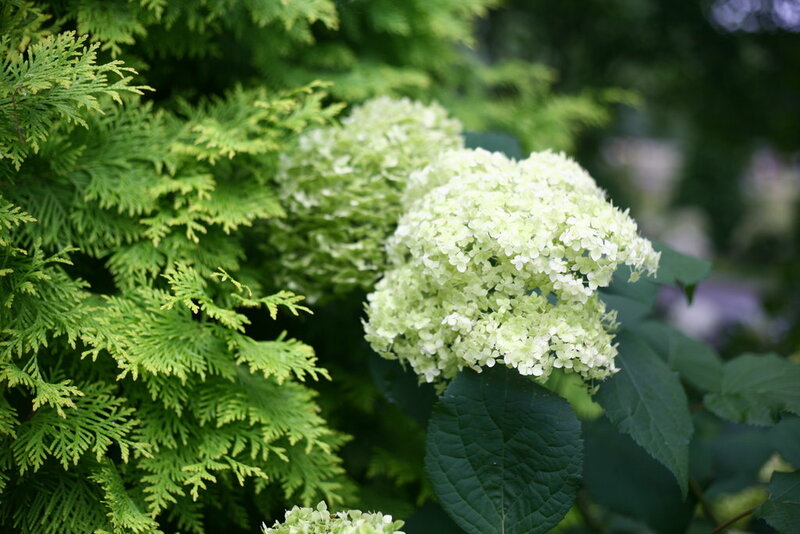 Because green never goes out of style! 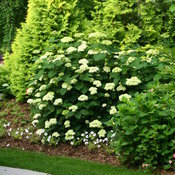 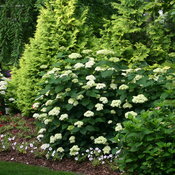 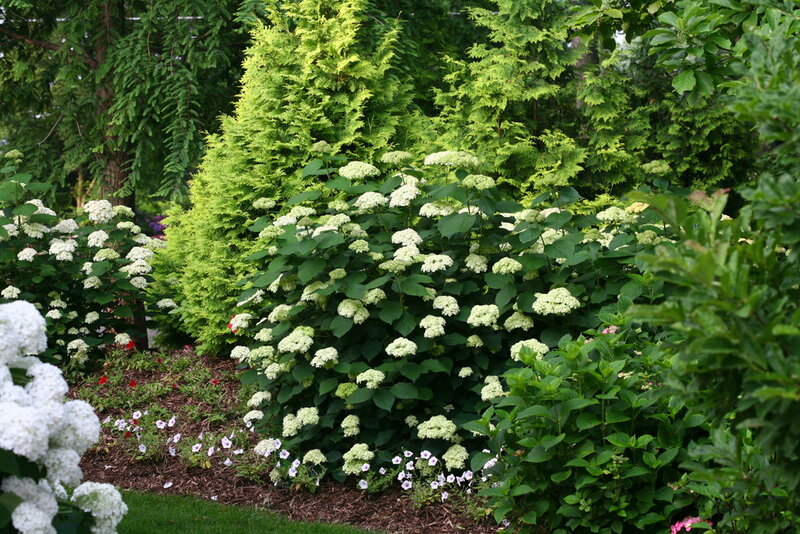 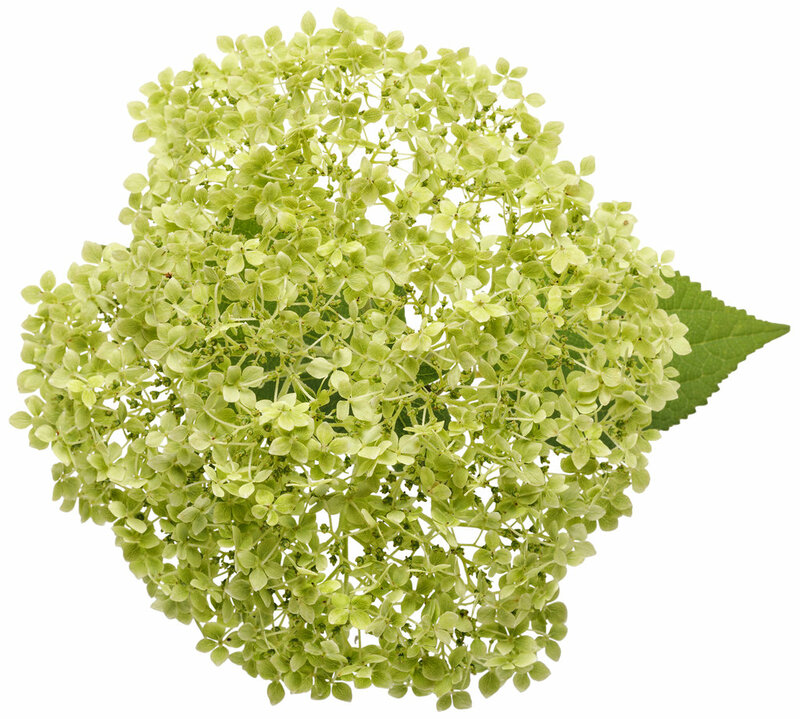 Lime Rickey hydrangea is an outstanding native hydrangea with large, disc-like blooms. 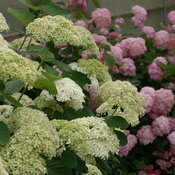 The flowers start out a fresh green and age to rich jade, all accented with pink pollen for a unique accent. 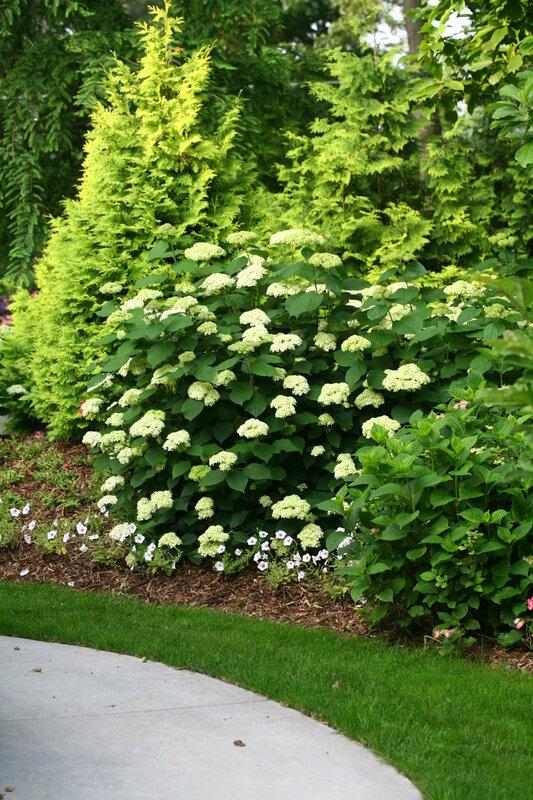 The stems on this hydrangea are exceptionally strong, and unlike 'Annabelle,' hold up to even the strongest summer storms without bending or flopping. 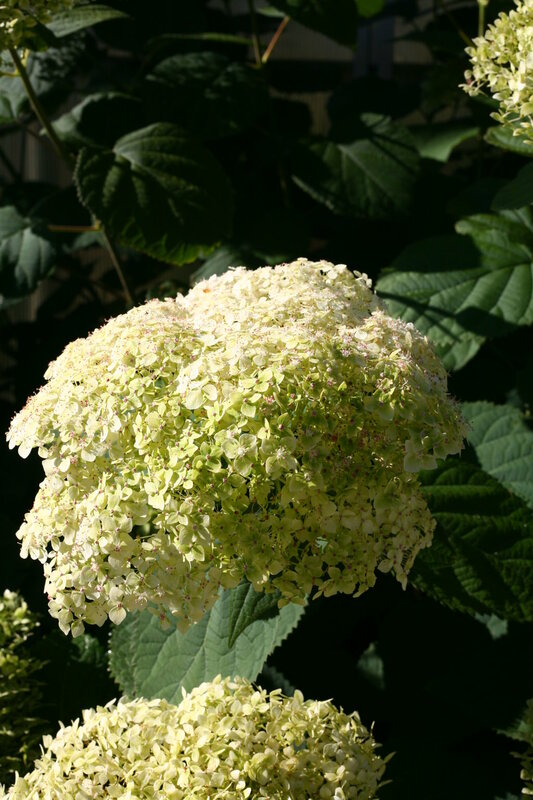 We've seen this plant withstand 2" of rainfall in one hour, completely unphased! 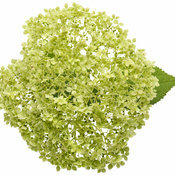 It makes an excellent cut flower and dries well, too. 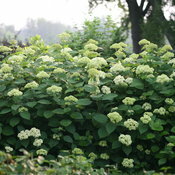 And because it's a super hardy smooth hydrangea, you can rely on it to bloom every year no matter where you plant it, no matter how you prune it. 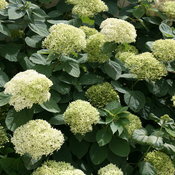 - blooms every summer, even in very cold areas. 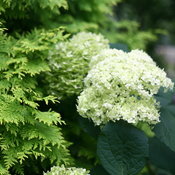 - large, jade-green flowers are very long-lasting. 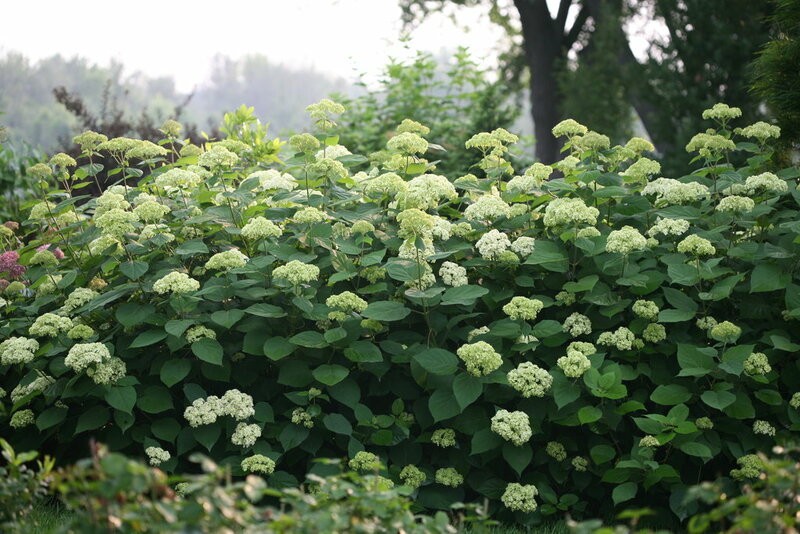 - exceptionally strong stems won't flop, even after heavy rains. 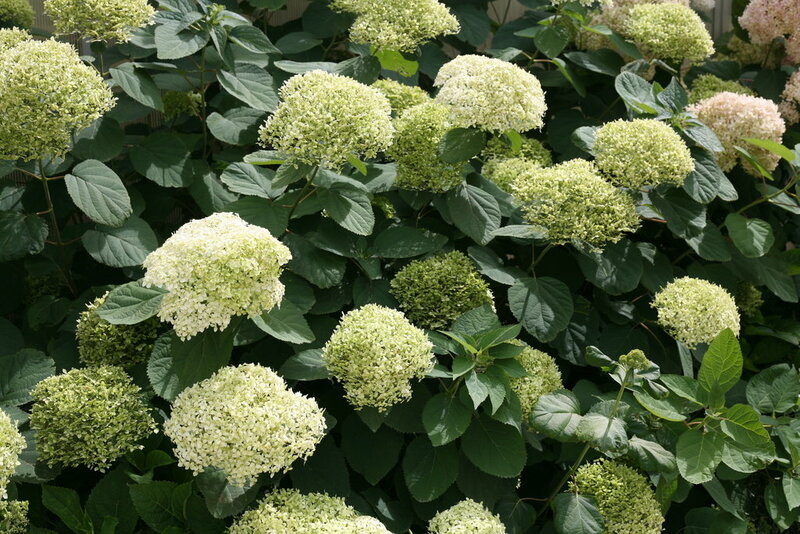 I bought 2 of those for the garden- we live on a mountain and wind is a big factor, plus we have heavy clay but these plants have been fantastic. 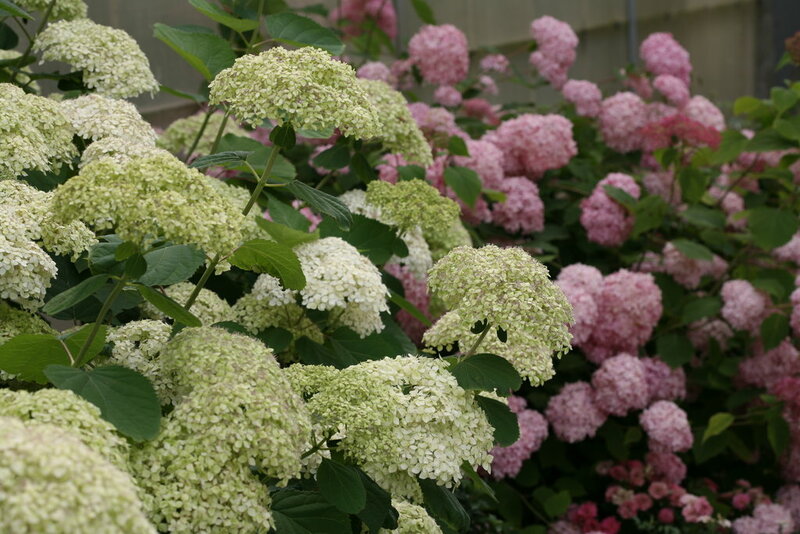 Planted both on a sunny location in the middle of Summer, and they've performed incredibly well, not needing as much water as I thought they would even with hot afternoon sun, and flowering within a week. 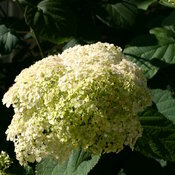 It's October now, windy and temps in the low 50s but they keep flowering and have grown to almost double the size. Would definitely buy more and recommend to anyone as a very easy to care, unfussy, beautiful shrub!